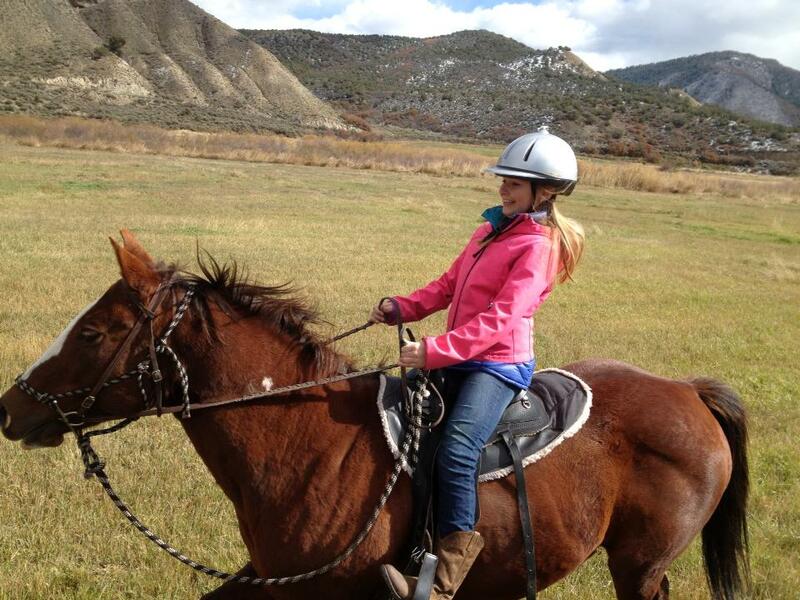 Nestled in Colorado’s Rocky Mountains, between the hayfields and the pine forests, live the Mountain Valley Horse Rescue horses, and a magical new experience: Destination Rescue. At Destination Rescue, we combine the aspects of help that the rescue horses are in need of, with Equulinguistics Equine Assisted Therapy exercises, to complete the Circle of Giving: the people heal the horses, and then the horses heal the people. “The day begins early, out at the Rescue just after all of our breakfasts. After meeting our hosts, we hear first how the Rescue works, and then we begin to learn about the individual horses. Our initial introduction to the horses comes as we begin our work of cleaning the paddocks. 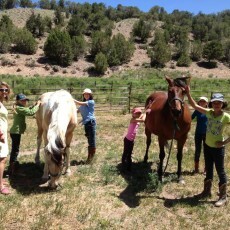 Some of the horses are curious, and come right over to greet us, while others hang back, still unsure. The work itself seems easy, with the horses there and interacting with us. “Then it’s time to halter some of the horses, and bring them down to the barn to begin the tasks of grooming, massaging, and stretching the animals, guided and instructed expertly all along the way. The time passes quickly, and soon its lunchtime and we enjoy a real cowboy cookout, right at the ranch. Destination Rescue offers experiences from a half day to 6 days, and in addition to the Circle of Giving, which is the Rescue Horse work into the Equine Assisted Therapy, guests can choose to round out their visits by including trail rides, riding lessons in a variety of disciplines, Yoga on Horseback, Equine Energy Work, or a number of other possibilities. Destination Rescue – an idea whose time has come. 1:30pm – Mountain Trail Ride, From the Ground, Up! 1:30pm – Field Trail Ride, From the Ground, Up!